The ultimate solution for protection against wildlife! Our deer fencing is manufactured from the highest quality materials and provides you with maximum flexibility, strength and durability. High strength metal deer fencing is great to protect your property, prevent damage and protection against domestic and wildlife animal incidents. At Benner's Gardens, we offer strong hex wire fencing that you can add to your deer fencing to protect against small animals and rodents. 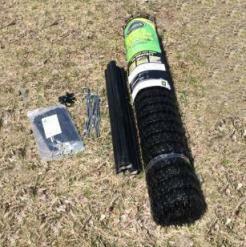 Our deer fencing kits are easy to install and come with everything you need for a smooth and proper installation. Our access gates are of the highest quality tubular steel construction and are rugged, yet easy to install. Our deer fence access gates give you a strong, easy way to access your property. 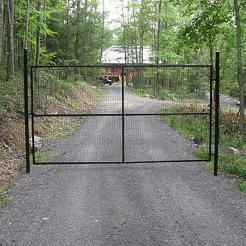 Our driveway gates and grates will give you the ultimate protection against deer. Keep deer out while having easy access to your property. Our fencing tools and accessories make your deer fence installation quick and easy! 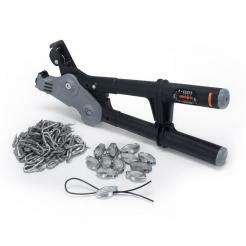 We carry the tools and tensioning accessories to make your fencing system durable and strong. 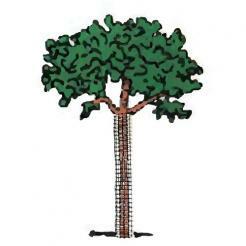 Shop our deer fence posts, accessories, installation tools and animal barriers. Our fence extension and conversion kits can help you turn your existing fence into a fully enclosed fencing system for complete protection. Keep animals like rabbits, raccoons, and more out of your garden with a durable, long-lasting garden fence kit from Benner’s. 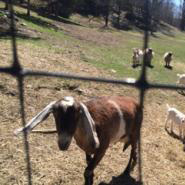 At Benner’s Gardens we offer fencing kits that will keep your pets and farm animals in a safe area, no matter their size. For the best in deer and animal protection, turn to our deer and animal repellents for your plants and landscaping. If you're looking to protect your turf against rutting and other damage, our turf protection products are built tough and can help. 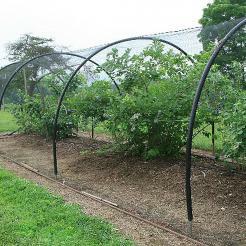 At Benner's Gardens, we offer quality bird netting in a variety of strengths to help you protect your property. 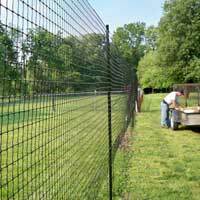 Benner's Gardens is the leader in deer fencing, garden fencing and wildlife protection systems for over 20 years! Do you have problems with deer, rabbits and other garden pests? Are your plants and shrubs being destroyed? Not a problem! Benner's Gardens offers deer and garden fencing that is easy to use and maintain over the years. With a Benner's deer and garden fencing kit, you can keep these common garden pests away from your plants and trees in a visually pleasing and environmentally friendly way. Benner's Gardens was founded in 1992 and we have been the leaders in deer fencing and wildlife protection systems for over 20 years! During this time, we have created the ultimate deer and garden fencing system that is extremely effective, durable and “virtually invisible”. It blends right into your landscape! The secret to our deer fencing is not only its tremendous strength, but also its invisibility. Properly installed, our material will even repel a large deer moving at full speed! Our deer fencing materials are constructed from the finest polypropylene materials and have UV stabilizers and inhibiters added into the construction to ensure the longest life for our products (as long as 15-20 years for our Advantage Plus Fencing). Our deer fencing is also extruded in such a way as to provide a unique combination of incredible strength, invisibility, and workability. Benner's Deer Fencing is a high-strength, weather resistant polypropylene mesh grid that has become the deer control method of choice for keeping deer out of garden areas or entire areas, without changing the aesthetics of the site. Do not settle for inferior products when protecting your garden or yard. If deer are hungry enough, they will eat anything- including those “deer resistant plants”. We have been providing deer fence solutions to customers for many years. Trust your next project to the experts. Benner's deer net fencing is strong and built to weather many years in the elements. Being a mesh fence, it is virtually invisible even 20 feet away. It blends into the surroundings so well that, your wonderful view of your garden will not be hampered. 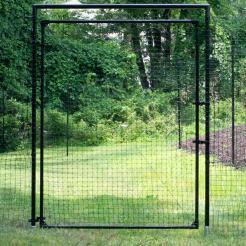 Benner's deer net fencing offers a humane way to ward off those unwelcomed guests in your garden. Unlike the harmful and costly electric fencing, our net fencing re-trains the deer from their path of habit through your garden. Once the deer recognize the fence is there, they will soon bypass that area. Its seven foot height keeps the deer from jumping over the fence, and the unique installation of ‘flaring’ the fencing at the bottom and staking it into the ground, keeps them from burrowing underneath. This also blocks numerous other unwanted visitors, such as rabbits, from going below the fence and helping themselves to your garden. 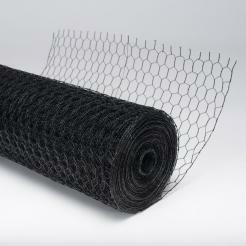 Unlike electric fencing, Benner's deer net fencing is a breeze to install. 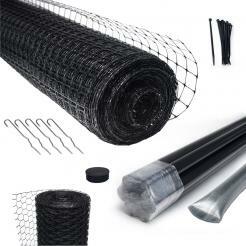 Everything that is needed to install a fencing system is provided in our fencing kits. There are also many options available to add to your fencing kit that can increase the strength and boost the deterrence from your garden. If you prefer to specifically choose which parts of the fencing system you wish to purchase, that is not a problem. You can also create a custom fence by ordering items separately instead of in the kit form. Unlike many common garden fences, Benner's deer and garden fencing requires no special tools for installation. It is hard work to keep a garden beautiful and thriving, and we know you do not want to see that ruined by unwelcomed deer, rabbits and other pests. Choose Benner's Gardens fencing productsto help! Purchase your deer and garden fencing kit to achieve a visually appealing and environmentally friendly deterrent from your garden. Easy to install! Do-It-Yourself, homeowner friendly garden fence system! Simple and low maintanace through the years - even when unexpected damage may occur! Don't forget about those chewing critters! Our Rodent/Chew Guard Barrier is just the thing to keep those destructive little animals at bay! We offer complete deer and pest deterrent systems along with all the necessary accessories including a chew guard barrier. This 2’ high metal hex wire fence protects the bottom portion of your deer fence from chewing rodents. Over time, rodents- such as rabbits and groundhogs, can and will chew through the bottom of the deer fence and create tears and small holes. If you live in an area prone to these types of critters, we highly recommend installing this barrier! As the leaders in deer protection and wildlife control, we have helped thousands of homeowners, landscape professionals, growers and many more, solve their deer and rodent problems once and for all. Benner’s Gardens introduces…GROUND PROTECTION SOLUTIONS! Are you tired of muddy ruts in your lawn and grassy areas from machinery, vehicle, or pedestrian traffic? 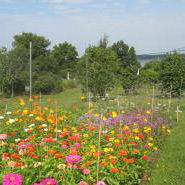 Benner’s Gardens has your solution! 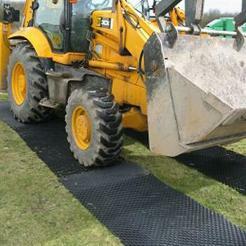 Available in three levels of protection, these environmentally friendly, mesh-like protection mats are lightweight and easy to install. Depending on the level of protection that you choose, they can handle from 2 tons per axle load to up to 20 tons per axle load! Is putting up a fence not an option? 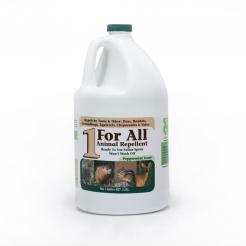 Try our 1 FOR ALL Deer and Animal Repellent! Benner’s Gardens now offers an all-natural animal repellent that will not only keep deer off of your landscape and gardens, but it is also proven to repel rabbits, groundhogs, squirrels, chipmunks and even mice! This specially-formulated repellent will even repel rain and water for up to 3 months! Customer Service is our TOP priority! We are committed to providing our customers with the safest and best products for all of your wildlife protection needs. We work hard to make sure that you are completely satisfied with all of our products and services. After many years of taking on the deer and winning, we have lots of valuable information to share. 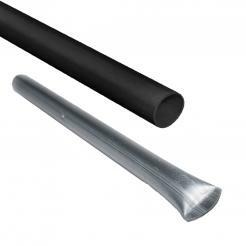 We offer support to help you plan your installation or repairs. Detailed, step-by-step installation instructions are listed on our website to help make installing a Benner's deer fencing system easy! We welcome your questions, comments, and concerns.